Are you an experienced communications professional with a track record in providing top notch, expert advice and delivering on it? Do you like what you see in us? And can you fit in with a team of individuals who are passionate about integrity and results? Our clients want great work, delivered on time, and on budget. If you are looking for challenging, stimulating work – and are prepared to roll your sleeves up and get on with it – look no further. 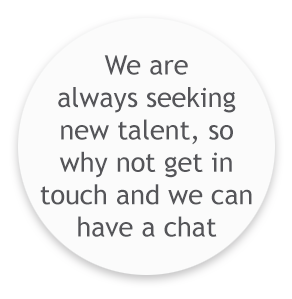 We are always seeking new talent, so if you are ready to join a team of friendly, professional communications experts, make contact (preferably in a creative, original way!) and let’s chat.